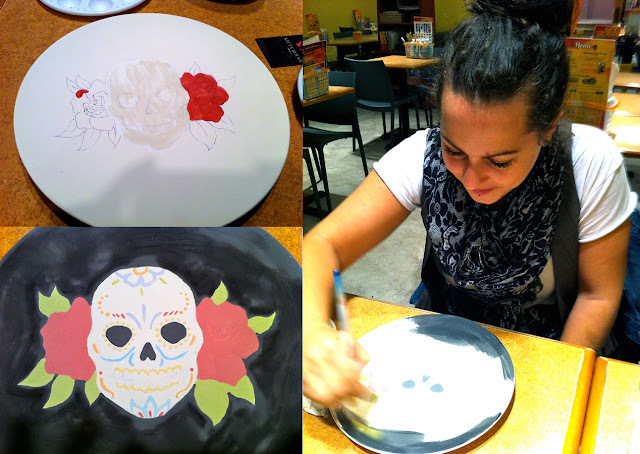 A couple of weeks ago, I went out on a creative coffee date to do a little ceramic painting (combining my love of coffee and painting into one? Winning!) I made a plate with a Dia de Los Muertos skull on it. Man, I love doing crafts! Makes me feel like a kid again. 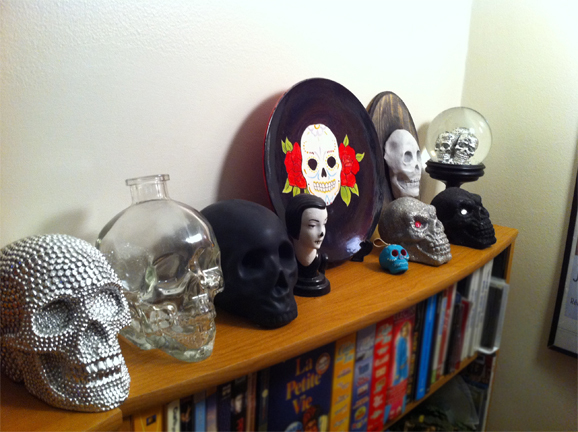 I finally had the chance to pick it up today and it already found a home in my growing skull collection (this is just a few of them).